Click the dropdown next to Manage for the event, and select Registration Types. 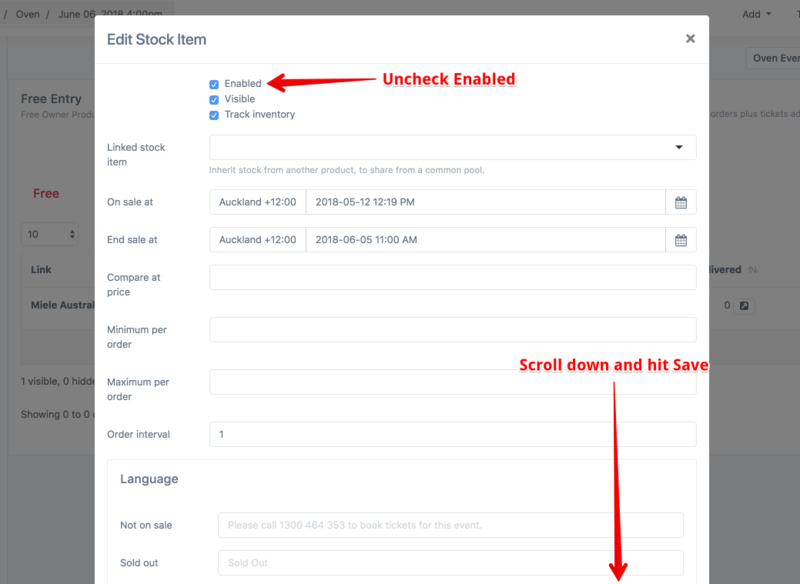 Uncheck the enabled check box, then scroll down and select Save. The page will refresh and you can confirm that registrations are disabled by looking at the On Sale column and ensuring it says No, in red.